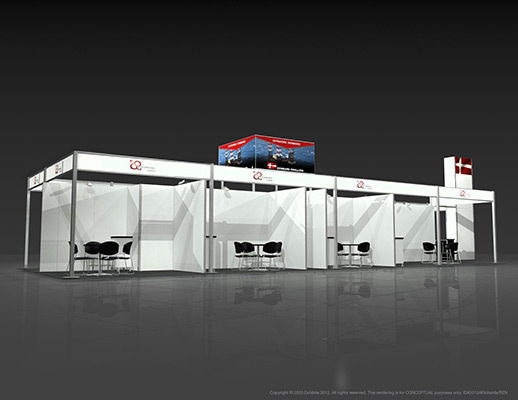 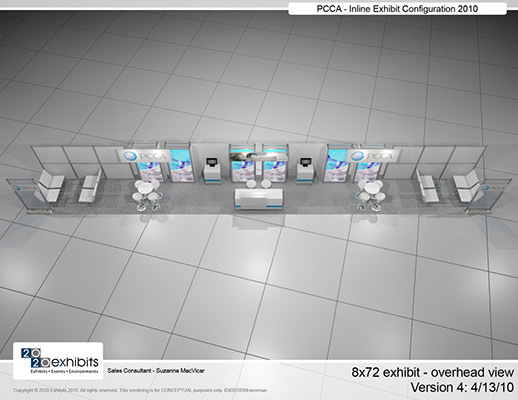 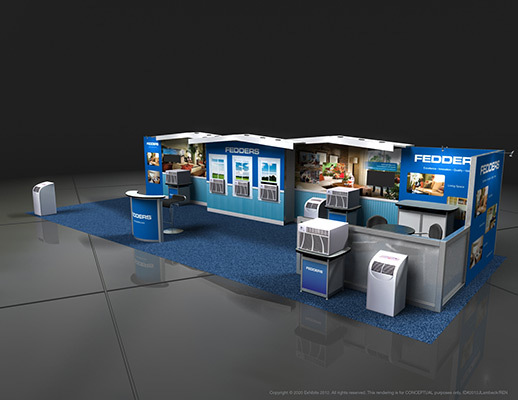 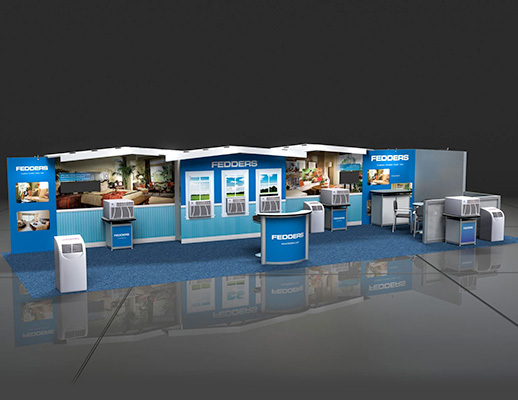 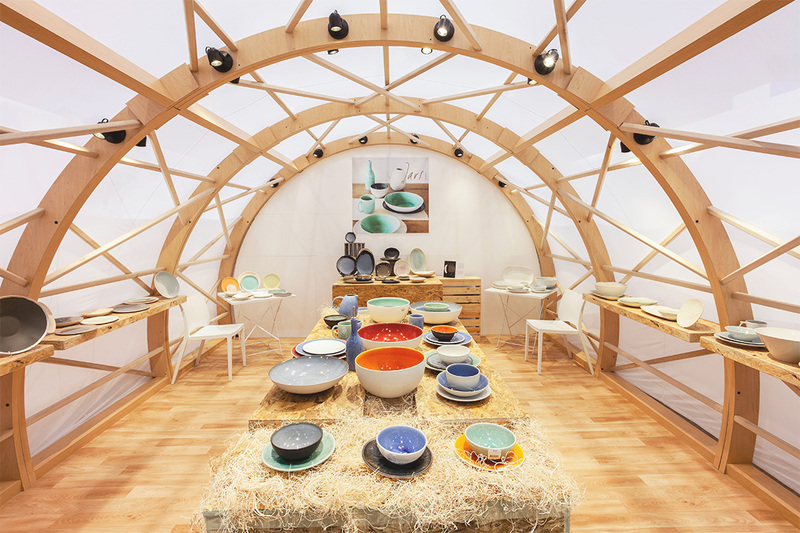 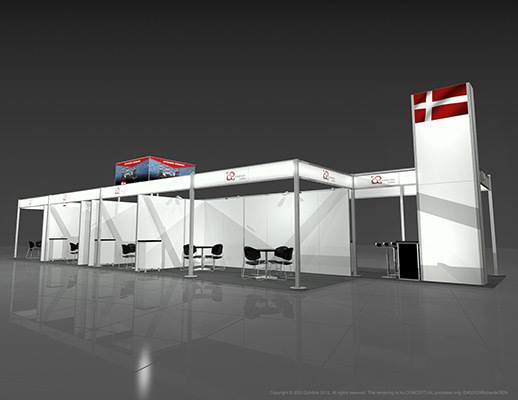 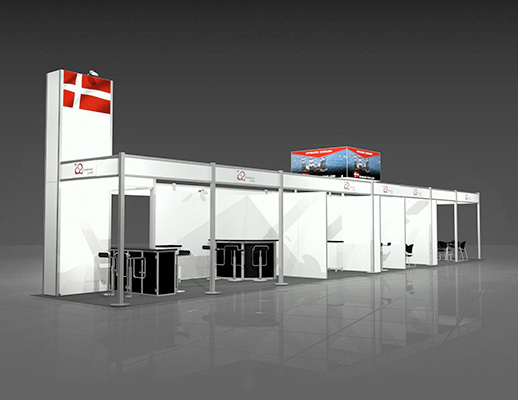 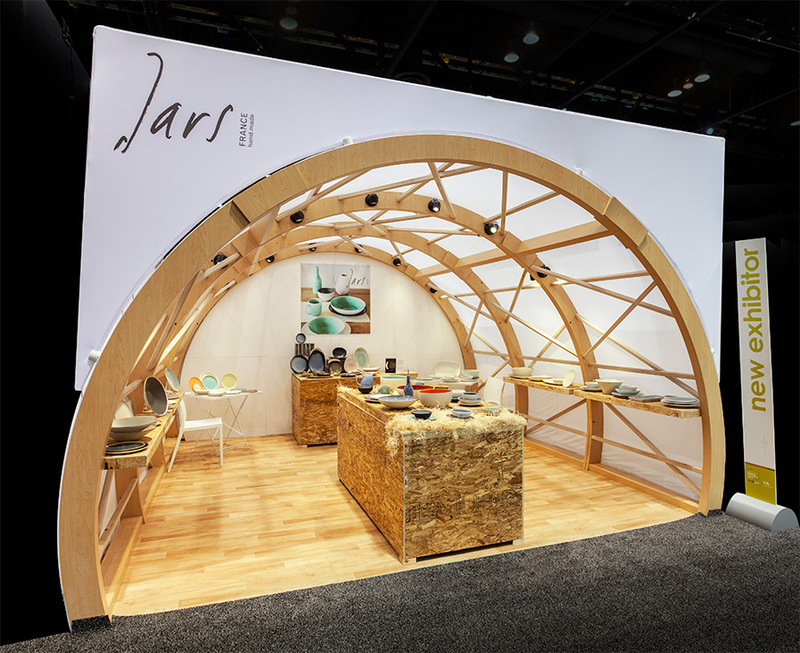 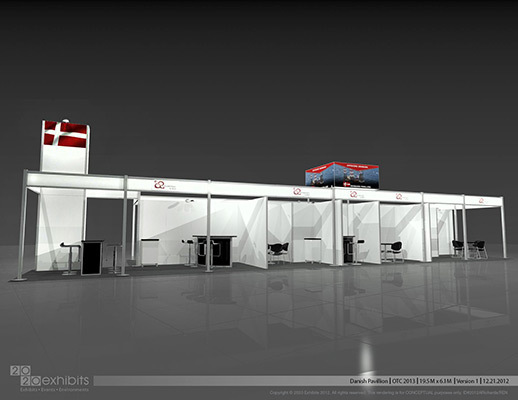 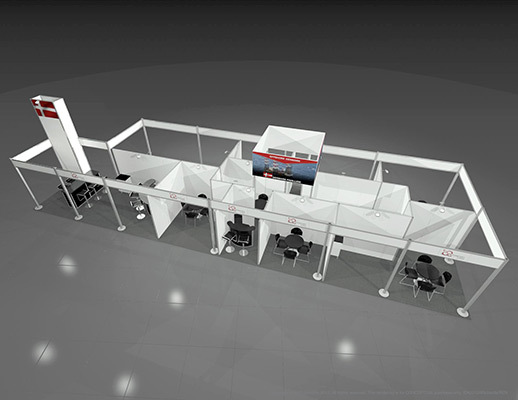 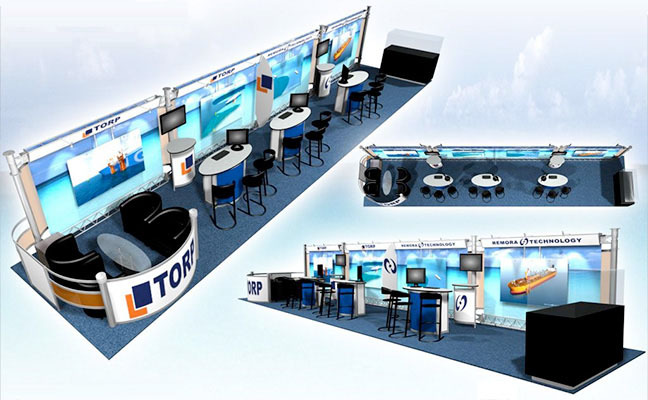 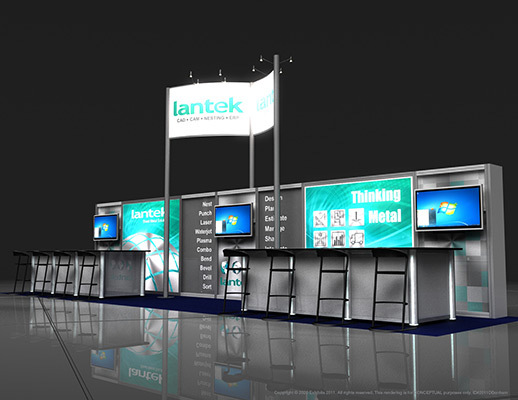 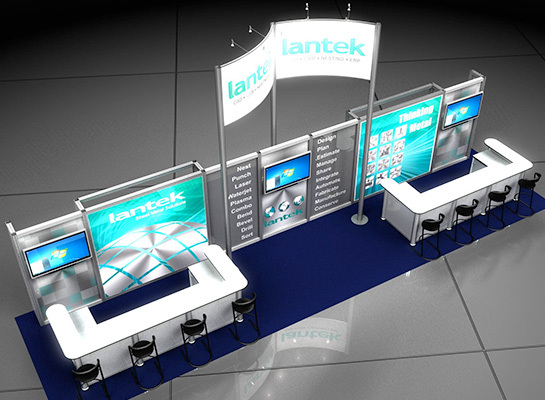 Specific design to show a very wide range of different products, with many product demo and video stations to explore. 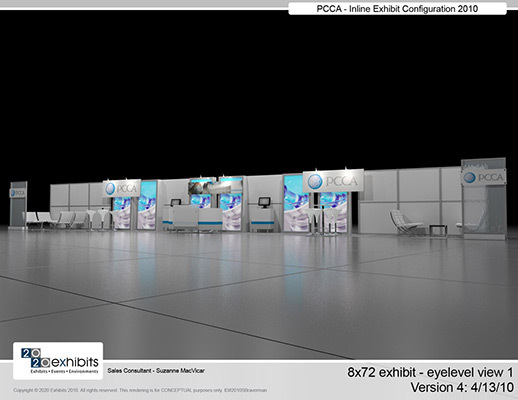 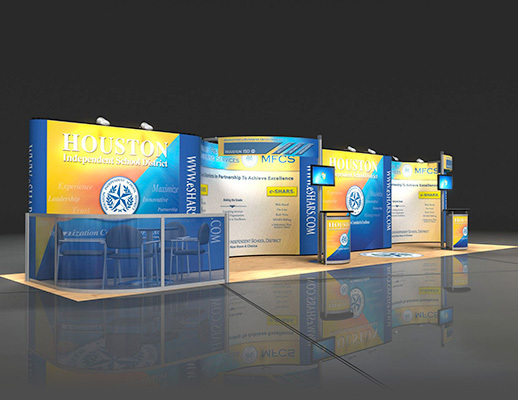 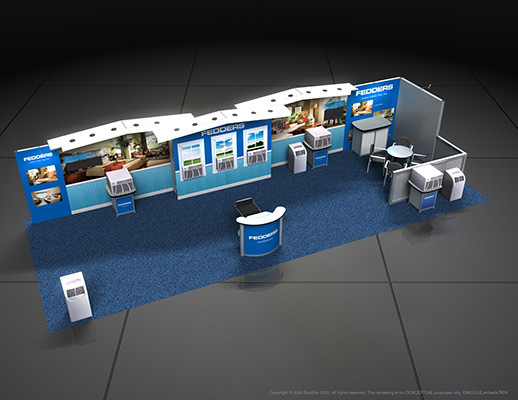 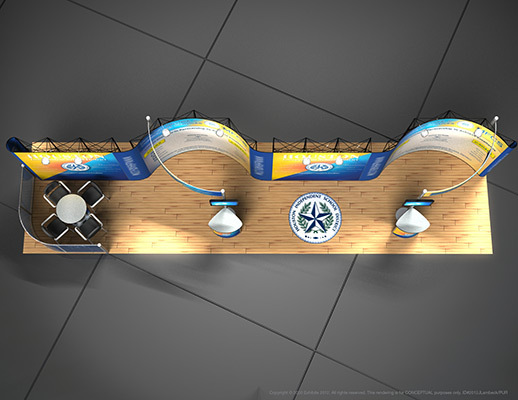 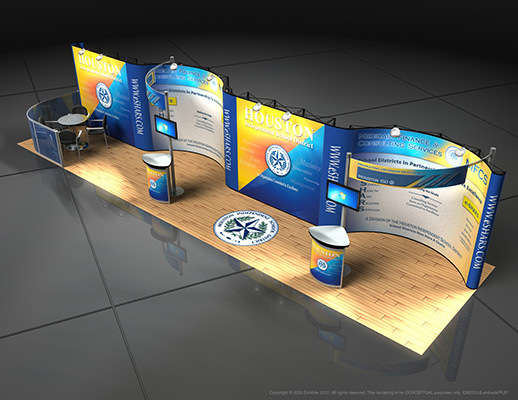 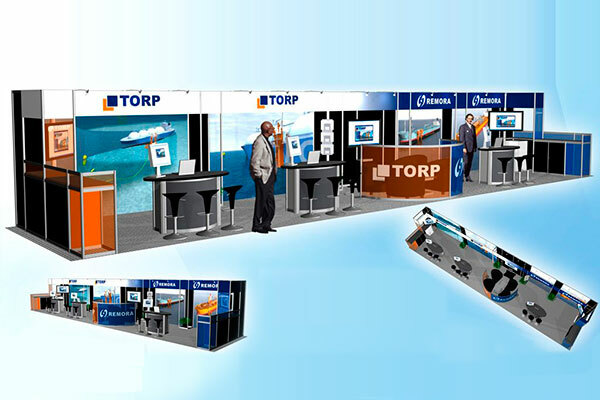 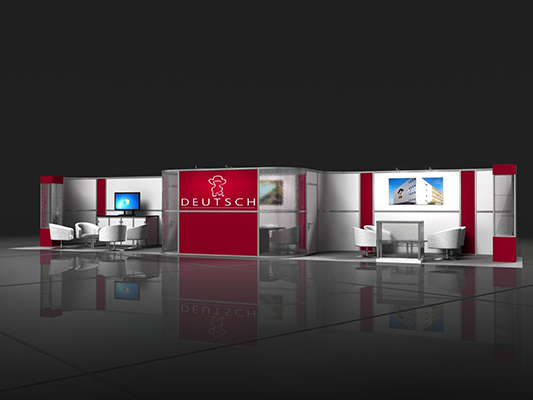 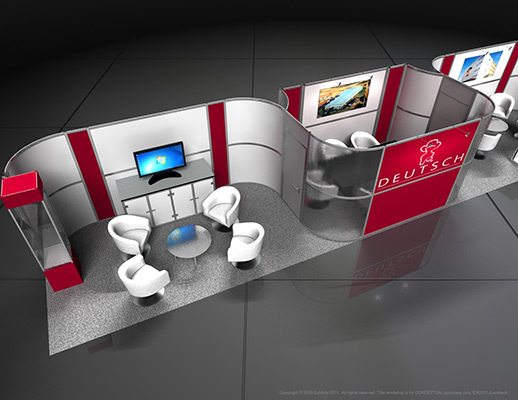 Designed with an open feel, this 10 x 40 inline exhibit captivates and engages attendees. 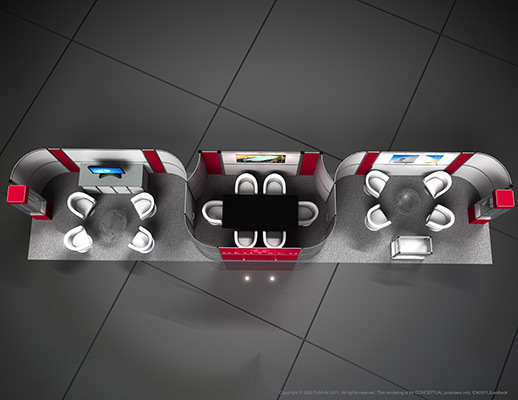 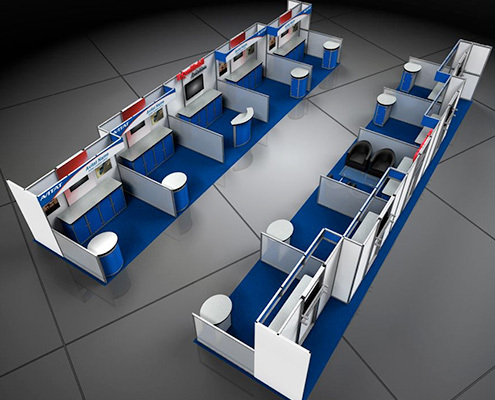 Features include: steel arc frame top, multiple product shelves, multiple product displays, reception kiosks, information kiosks, video monitors, carpeted inlay, graphic banners, overhead lighting, prominent logo throughout design and video kiosks.